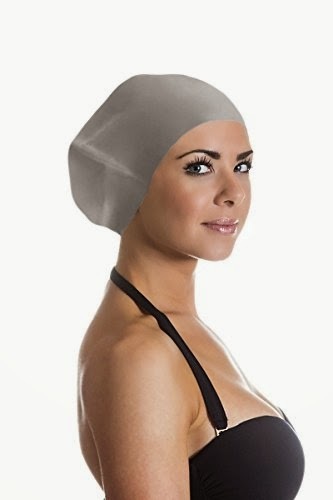 This swim,shower cap is excellent. No more cheap plastic caps in the shower !! This is thick made of strong silicone and is great for women who have thick or long hair. My daughter has been using it in the shower. It fits her head perfect and covers her long hair. Her hair does not get wet at all. I even used it to cover my hair and my hair stayed completely dry. It fits nice and snug around your neck and forehead. Her hair is double processed so when it is time to swim in the pool she will use it. I have never used or seen a better cap. I received this cap complimentary in exchange for my unbiased opinion and review.